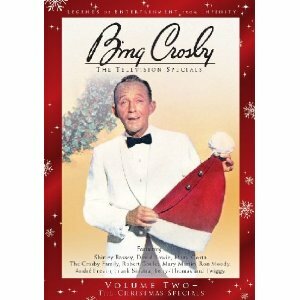 Bing Crosby and Christmas - they're inseparable. It was only natural for the voice that sold more than 100 million copies of 'White Christmas'. He was the star of such film classics as Holiday Inn and White Christmas - and eventually celebrated the season on television. This second volume of Crosby television specials showcases those Christmas shows. 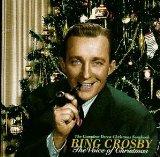 Included in this premiere, two-disc collection are Bing's first holiday special, produced in England in 1961. His first color special from 1962 with Mary Martin, Bing Crosby and the Sounds of Christmas with Robert Goulet and Mary Costa from 1971. Finally Bing's final special, Bing Crosby's Merrie Olde Christmas, which includes the iconic duet of 'The Little Drummer Boy/Peace on Earth' with David Bowie. These treasured programs have been meticulously restored from the original film and videotape sources, and are presented with all the original performances intact. Bonus Features: Happy Holidays With Bing and Frank, the 1957 color Christmas episode of the Frank Sinatra Show. There are outtakes from the 1962 Bing Crosby Christmas special, a rare Toys For Tots public service announcement and the 1976 tourism film, Bing's Britain. Born Harry Lillis Crosby, Bing Crosby - Bing was a nickname from childhood - would become one the biggest singers and movie-stars of all time. His legendary status has come from starring in more than 75 feature films, various television projects and releasing more than 50 albums in his lifetime. He won the Oscar for Best Actor, as well as numerous Grammy awards, Golden Globes and various other notable awards. He is possibly best known for singing that perennial favorite Christmas song, "White Christmas", which is the most famous and popular secular Christmas song ever recorded - even spawning a hit film. Along with his best friend Bob Hope, he entertained the US military forces fighting in the European Theatre in World War II. And in an end of war poll of the troops, he was said to be the person who did most for the G.I. 's morale, beating out then president Roosevelt, and General Eisenhower. He inspired many up and coming young artists of the day, most notably Frank Sinatra, Dean Martin and Perry Como. Bing is directly responsible for the invention of multi-track recording, after investing heavily in the reel to reel recorder and then giving one to Les Paul who would invent multi-track recordings. Bing will forever remain one of the most influential and best loved entertainers of the twentieth century.